FOR EVERY AIRCRAFT, THERE IS A BUYER. FOR EVERY SELLER, THERE IS PINNACLE AVIATION. More than 30 years of experience has given us the ability to assess, market and negotiate the sale of your aircraft at the highest professional level. We understand the complexities and nuances of this niche market. We keep abreast of industry trends, maintain a thorough, working knowledge of aircraft models and their current values, and continue to develop a worldwide network of brokers and buyers so extensive that many clients turn to us for our connections alone. In keeping with our mission to always provide service excellence with consummate expertise, we are committed to maximizing your sale. We will work tirelessly to generate leads for your listing, find the right buyer for your aircraft, and successfully close the sale. To successfully sell your aircraft, we accurately assess its value. We start by performing a detailed analysis to determine the physical and mechanical condition of your aircraft. We have the in-house resources of our own full-service maintenance department to draw from, with the ability to expertly assess and validate your maintenance history to help determine a market value. We know what is highly desirable in the marketplace. Our sales professionals and maintenance technicians conduct a careful review of your aircraft with the intention of identifying and highlighting the features and benefits that get the most attention from buyers, finding the qualities that will attract them to your aircraft over similar listings. Then we help you establish a realistic price for a sale within the time frame you have set. Value is a matter of opinion. We know how to shape it. Our objective is to raise the perceived value of your aircraft to the highest level. So we go to work researching current market conditions to formulate a marketing plan for success. We determine how comparable aircraft have been selling. We analyze how many similar aircraft are actively listed for sale. We develop a buyer profile for your specific model, and ascertain the likely means of connecting with them. We get a clear picture of the competitive landscape, and prepare an effective, targeted strategy for marketing within it. To amplify our reach, we implement a marketing plan designed to accelerate the sale of your aircraft. We start with professional photography and an expertly produced video presentation, downloadable images of the exterior and interior, and a detailed specification sheet. We place this information on our highly interactive website as a starting point. We then employ print advertising in trade publications with global circulations to communicate to a mass audience, and we pinpoint targeted prospects through direct emails and strategically placed advertising on select websites. We constantly monitor and update database services including JetNet and Amstat, and we modify our strategy as needed to adjust to our findings. Our expert sales negotiation is the key to your success. Our job is not complete until we’ve consummated the sale. 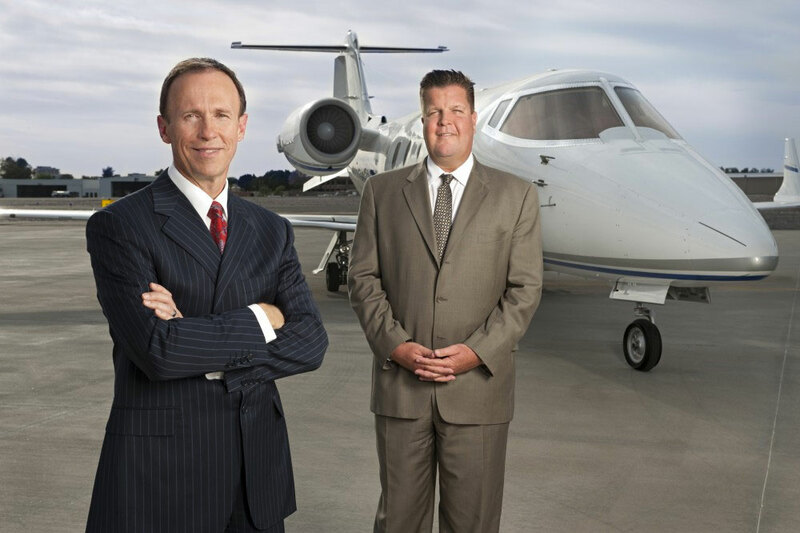 As your representative, we consider it our duty to maximize the return on your aircraft investment, which makes sales negotiation the most crucial stage of the process. This is where Pinnacle excels. Our experience allows us to properly represent you through the contract phase to minimize your exposure to undesirable concessions or unreasonable requests. Our maintenance expertise in verifying every detail gives us tremendous negotiating leverage—oftentimes it’s the edge that makes the difference. Every step of the way, Pinnacle is by your side, working on your behalf. After more than two decades in the business, we have established a proven track record of success, one that is confirmed by the many referrals from our satisfied clients.